Guide to Your Child’s Medicines from Healthy Children on Vimeo. This Dosing Guide gives dosages for common over-the-counter medications used in children. These medications are dosed according to weight. To calculate your child’s dose therefore, look up his weight on the Dosing Guide and read across to the proper dose for each medicine listed. If you don’t know your child’s weight and if your child is too young to stand on bathroom scales, a simple way to determine his weight is to first weigh both you and your child as you hold him. Then weigh yourself alone. Subtracting these two numbers will give you a fairly accurate weight of your child. 1 killogram ≈ 2.2 pounds. 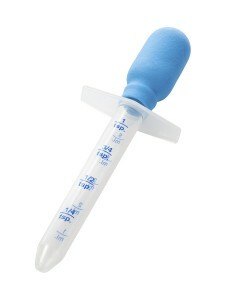 Please use an appropriate measuring device for your child’s medication. A kitchen spoon may not be accurate. If you do not have a measuring dropper or other dispenser, please ask your pharmacy to aid in your selection.